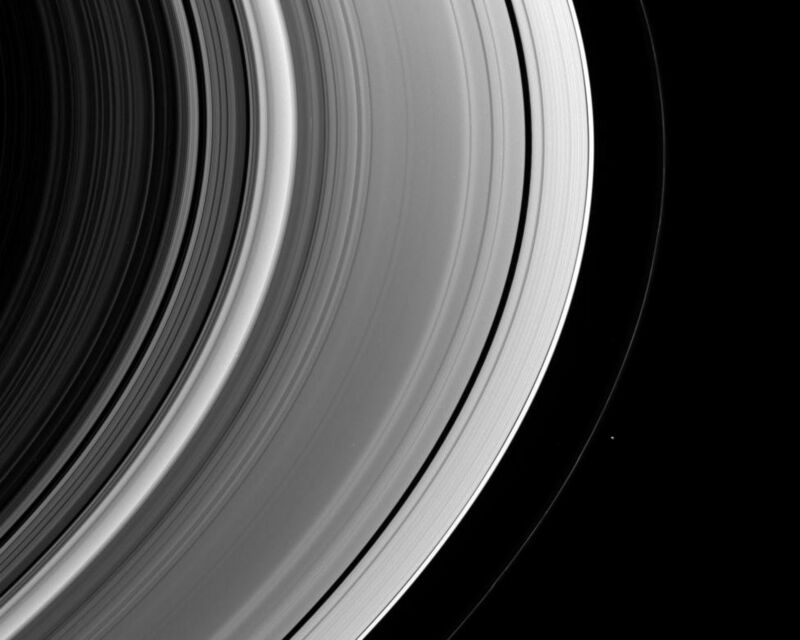 This view of the unlit side of Saturn's rings captures the small shepherd moon Pandora as it swings around the outside of the F ring. 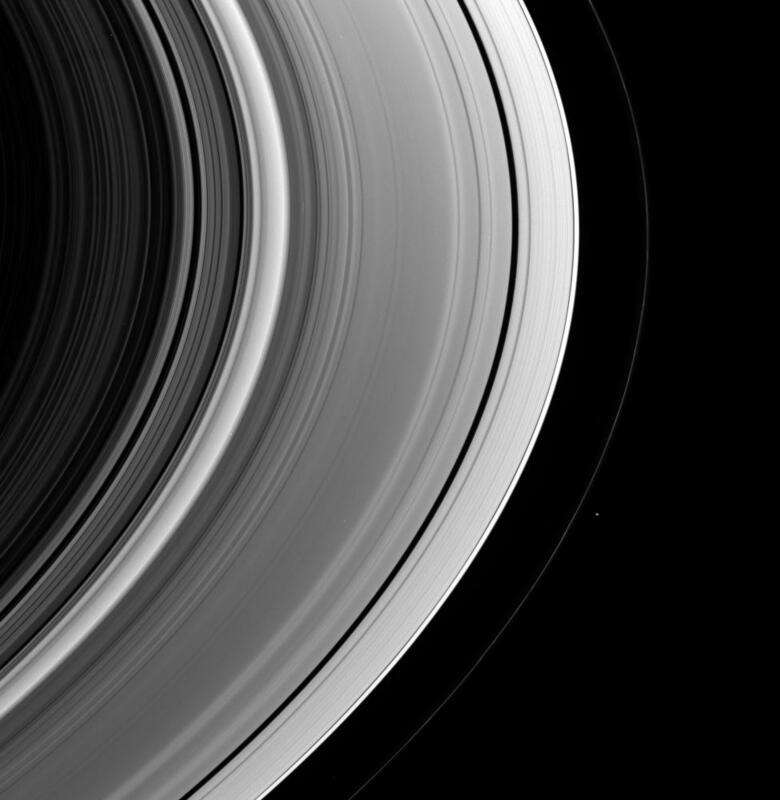 The F ring displays a few discrete bright clumps here. 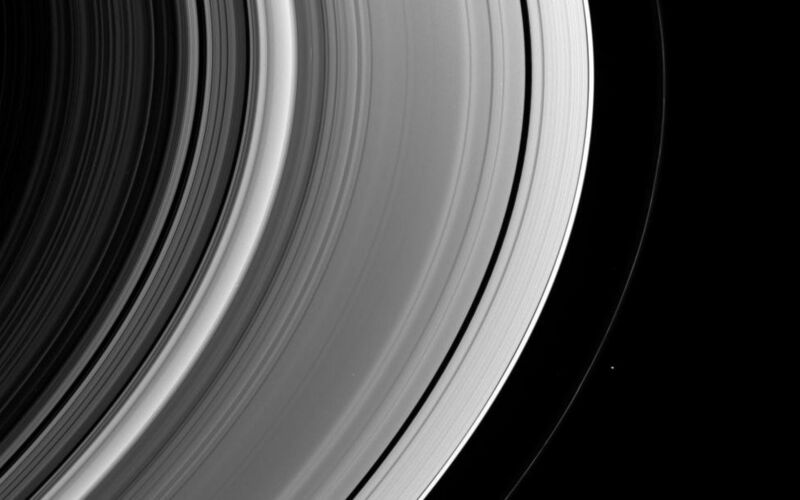 This view looks toward the rings from about 24 degrees above the ringplane. Pandora is 84 kilometers (52 miles) across. 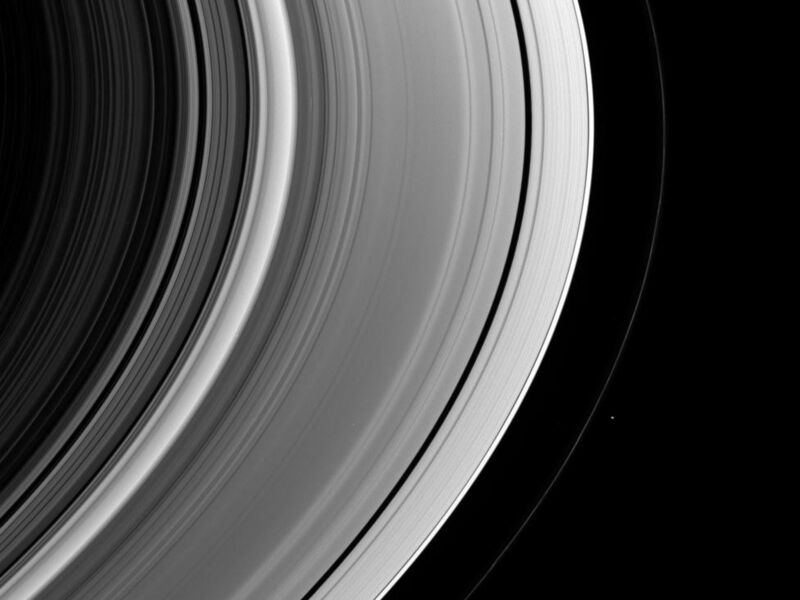 The image was taken in visible green light with the Cassini spacecraft wide-angle camera on Dec. 15, 2006 at a distance of approximately 680,000 kilometers (422,000 miles) from Saturn. Image scale is 37 kilometers (23 miles) per pixel.